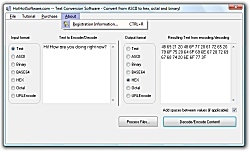 Description: Convert from and to text in different string formats, ascii, binary plus much more. This software allows you to convert the different formats so try it now! 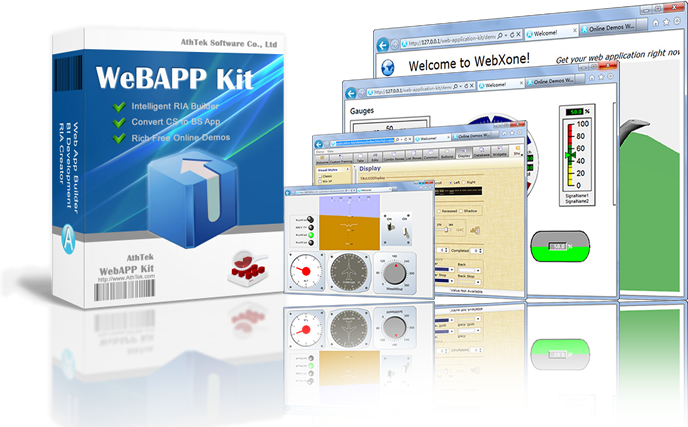 Description: AthTek WebAPP Kit is a great programming tool for web software development. It works together with popular programming languages and enables software developers to create rich internet applications (RIA) directly by the ordinary software projects. If you are a PC software developer who wants to add internet versions of your software, AthTek WebAPP Kit is the spider-man you should never miss. Description: BotDetect ASP.NET CAPTCHA component is designed to protect your registration, comment, and other online forms from automated spam submissions. It generates CAPTCHA images that easily tell bots and humans apart. 50 different CAPTCHA algorithms, custom size and image format, sound support that allows access even to visually impaired! XHTML 1.1 Strict compliant. 'Developer Edition' includes FULL SOURCE CODE and ROYALTY FREE distribution rights! Description: bruteforceevo2-toolbar 1.0 early order Evo2 toolbar by Official Bruteforce Order discount Evo2 toolbar bruteforce member|partners Evo 2 - An SEO Software Evolution | Brute Force Seo toolbar for up to the minute launch time news of the highly anticipated new software to order on the spot and beat the crowd. Down load toolbar has up to the minute RSS Feed multilangual news. Description: bruteforceevo2toolbarribbon 3.0 early order Evo2 toolbar by Official Bruteforce Order discount Evo2 toolbar bruteforce member|partners Evo 2 - An SEO Software Evolution | Brute Force Seo toolbar for up to the minute launch time news of the highly anticipated new software to order on the spot and beat the crowd. Down load toolbar has up to the minute RSS Feed multilangual news. Description: bruteforceevoIItoolbarribbon 2.0 early order Evo2 toolbar4.7 by Official Bruteforce Order discount Evo2 toolbar bruteforce member|partners Evo 2 - An SEO Software Evolution | Brute Force Seo toolbar for up to the minute launch time news of the highly anticipated new software to order on the spot and beat the crowd. Down load toolbar has up to the minute RSS Feed multilangual news. Description: EARLYBIRDLISTtoolbar1.0 early order Evo2 toolbar4.7 by Official Bruteforce Order discount Evo2 toolbar bruteforce member|partners Evo 2 - An SEO Software Evolution | Brute Force Seo toolbar for up to the minute launch time news of the highly anticipated new software to order on the spot and beat the crowd. Down load toolbar has up to the minute RSS Feed multilangual news. Description: EVOIIWATCHrtoolbar 1.0 early order Evo2 toolbar4.7 by Official Bruteforce Order discount Evo2 toolbar bruteforce member|partners Evo 2 - An SEO Software Evolution | Brute Force Seo toolbar for up to the minute launch time news of the highly anticipated new software to order on the spot and beat the crowd. Down load toolbar has up to the minute RSS Feed multilangual news.